I’ve been back in the UK for over two weeks now and sadly the memories of my trip to Miami are fading just as quickly as my suntan. But what a wonderful vacation it turned out to be. Normally I use vacations as an opportunity to research and explore foreign countries for writing purposes, as I like to base my stories against exotic backdrops so that the places themselves almost become a character in the narration. This time, however, I was adamant I wasn’t going to go anywhere near pen and paper (or laptop, for that matter). My missus has been working in Hong Kong since we got married 2 years ago and we’ve only seen each about half that time so we were looking forward to just spending time with each other with no other distractions whatsoever. The fact that we had planned the trip to coincide with the 4 July celebrations as this was also our wedding anniversary made the trip even more special. Miami, however, is such an intriguing place that it was impossible for an aspiring crime writer not to be drawn in by its wonderfully colourful history. In the end we took three tours of the city, by coach, boat and also sea plane, and the Tour Guides in each of trip provided me with an abundance of crime-related information. 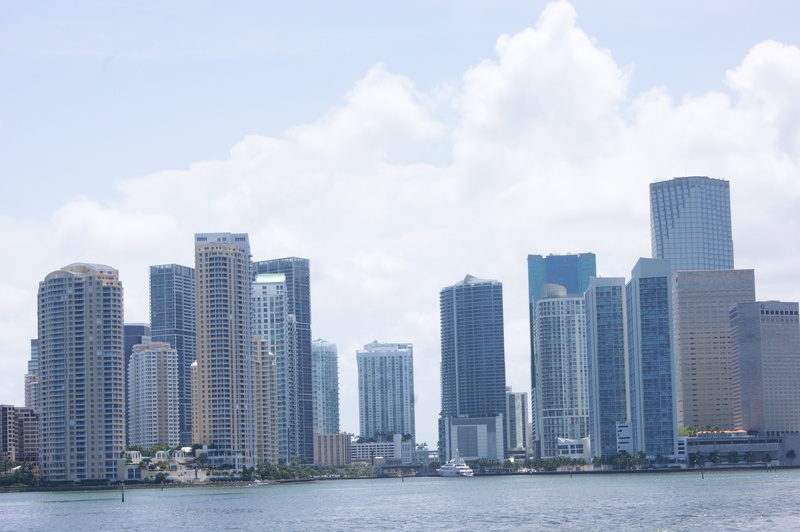 Locals will openly tell you that much of Miami has actually been constructed from the proceeds of crime; whether it is from funds seized and confiscated by the US law enforcement agencies or through illegal drug trafficking and money laundering activities. This is still very much the case today. Even just last week the British press ran coverage of HSBC’s breaches of US anti-money laundering procedures relating to its use of bearer share accounts. Under the rules for these accounts, ownership of shares and the income they incur can apparently be passed from person to person in secrecy. HSBC’s US subsidiary HBUS had opened more than 2,550 accounts for bearer share corporations. Most of the bearer share accounts – some 1,670 – were opened at the Miami office of HBUS. At their peak, these Miami accounts held $2.6bn of assets and generated annual revenues of $26m! 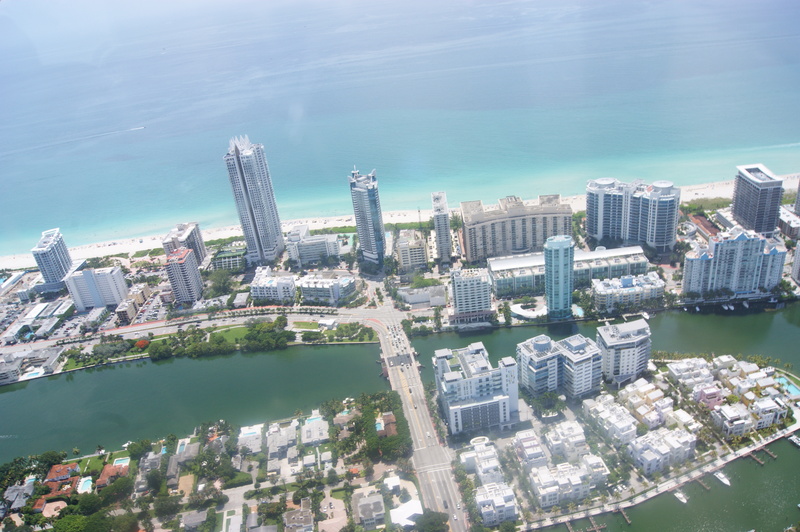 There is also the recent story of Miami Beach hotel developers, Mauricio Cohen Assor and Leon Cohen Levy. The father and son used HBUS accounts opened under the names Blue Ocean Finance Ltd. and Whitebury Shipping Time-Sharing Ltd. to help hide $150m in assets and $49m of income. The pair were subsequently jailed in 2010 for 10 years for criminal tax fraud and filing false tax returns. With many tales like this hanging over the city, set against a wonderful backdrop of incredible beaches and fleets of lamborghinis and Ferraris purring along Ocean Drive each night, it was impossible not to be thinking about a future writing project. And so now I’ve gone as as far as writing a rough outline plus opening chapter for a new crime novel, ‘Game-Changer’. 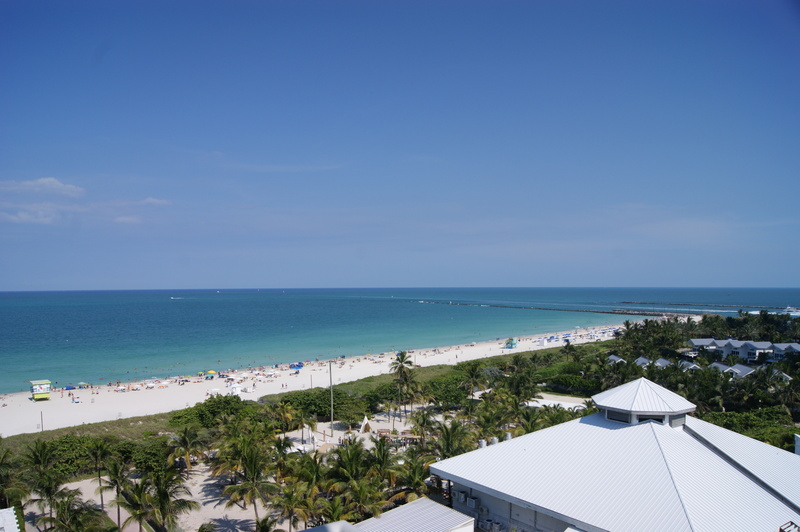 We stayed at the Hilton Bentley on Ocean Drive and the hotel employees there were wonderful; very polite, always attentive and really made our vacation stress-free. The photo at the top shows the view from our suite, which overlooked both South Beach and the city. Of course, I also managed to get a lot of reading in during the down-time. A massive fan of James Patterson, I read two of his novels; “Roses are Red” and “Violets are Blue”, which were standalone novels in their own right, but also closely linked, following each other along the same timeline. I have to say that although I love the pace that Patterson injects to both these and all his other novels, I found the actual plots in “Roses…” and “Violets…” a little bit disappointing. In the first novel I had already guessed the rather unlikely identity of the main villain, ‘the Mastermind’, long before it was revealed to the reader. The Mastermind is first introduced in Roses Are Red as the head of a local crime spree involving robberies and murder. At the end of the novel Detective Cross’ partner is raped and murdered and it is shortly after her body is discovered that the reader is made aware of whom the Mastermind actually is. It is not until near the end of Violets are Blue, however, thatour hero discovers his identity and the two finally get to clash. Another, rather unlikely, plot in “Violets Are Blue”, Cross goes up against, well, a cult of vampires! Also in ‘Rose are Red’, as the story gets going we learn that Janelle, Alex Cross’ daughter, has a serious brain tumour. In my mind I thought this would cue the opportunity for the reader to be taken on a journey where we are reminded about the fragility of life, and that despite our protagonist being heroic, that there are things even he can’t control. But no, we seem to be rushed through a side story where Janelle is successfully operated on and subsequently given the all-clear, all in the space of just one chapter – which kind of left me wondering “why bother in the first place?” ‘Roses…’ was published in 2000, and ‘Violets…’ in 2001, so they were among James Patterson’s earlier novels (albeit the sixth Alex Cross novel). I have to say that I honestly think it showed as his later novels are far superior. Another novel I read was “The Network” by Jason Elliot. In the months leading up to 9/11 the intelligence community is on high alert for terrorist threats. A former army officer is recruited by MI6 to destroy a weapons cache in Afghanistan, but in the spy world, nothing is quite as it seems. This was a wonderfully authentic novel about exploitation and deceit and also about a friendship tested to the very end. I was bowled over by the sheer level of knowledge and detail depicted in this book, and found it a far more intelligent and superior novel than other SAS-type novels out there. I hope there is a follow up! The last novel on my trip was ‘Neidermayer & Hart’ by MJ Johnson. I was originally drawn to this novel after striking up a Twitter conversation with its author, and then reading the opening chapter which is on his website. As soon as I read it, I immediately bought the novel. As the story goes, there’s something rotten in the basement of Niedermayer & Hart Fine Porcelain, which recovering alcoholic photographer Jim Latimer discovers when he is commissioned to photograph their porcelain collection for an upcoming catalogue. Jim soon realises that there is something very wrong with his employers, and it isn’t long before he finds himself fighting to save not just his life, but his very soul. But there’s a lot more to it! I am going to review this novel more fully in my next blog, but I can tell you that I when I started reading this, I literally didn’t put it down until I had finished it – much to the annoyance of my wife whom I largely ignored on the last day of our vacation! Perhaps not the best way to end a second honeymoon! And finally, on the subject of my better half, I’d just like to say that there are so many reasons why I’m in awe of my wonderful wife, and I was reminded of just one of them when we were having dinner one evening in a restaurant called ‘Bellinis” on Ocean Drive. As we sat down we noted a party of four next to us, comprising of a mum, dad and two excitable daughters who looked about ages 9 and 12. As we ordered our meal one of the waiters produced a small cake with a candle and they group began to sing Happy Birthday to the eldest girl. It looked like they were having a wonderful time. And then came one of those moments that we all dread, when the waiter approached the father and explained that his credit card had been declined for the third time. Deeply embarrassed, the father set off with the youngest girl to find an ATM, whilst his wife and eldest sat at the table. Eventually they had to stand in the middle of the restaurant as the father was taking so long and they needed the table, and by the time we had finished our meal and paid our bill the father had still not returned. It wasn’t until shortly after my wife had returned from the restroom and stopped on the way to chat to the wife and her daughter that I learned from our own waiter that she had actually paid the family’s dinner and drinks bill – over $100. When I asked her why she said, ‘Well it was the little girl’s birthday and I didn’t want the credit card problem to spoil their night.” Awww, I love you, baby! With just nine days to go until my holidays, there’s a mountain of stuff to do before I fly out – and that’s before I even get to the ‘To Do’ list my wife left behind when she went back to Hong Kong. One of the more pleasurable activities on the list, though, was getting along to the ‘Plot the Perfect Murder Mystery’ event at the Bloomsbury Institute in London last night. The Writers & Artists Yearbook people were celebrating National Crime Month by hosting an evening with three brilliant crime writers; James Runcie, Anne Zouroudi and Claire McGowan. (Claire, of course, is not only author of ‘The Fall’, but also Director of the Crime Writers’ Association). The evening kicked off at 6pm sharp with refreshments and an opportunity to peruse the latest publications of both James and Anne (though I was a bit disappointed as I’d hoped to pick up Claire’s novel, which wasn’t on display – probably because it was published by Headline). Typically, I arrived late and was still doing the day job on my Blackberry, so I barely had time to grab a glass of water and a seat near the front of what turned out to be a full house. Claire got the event under way by sharing the fact that she first attended the Writers & Artists ‘How to Get Published‘ conference in June 2010, and then followed it up with the Manuscript Submission masterclasses, all of which went some considerable way to convincing her that she wanted to be a writer. Just two years further down the line and Claire is now a published author and Director of the CWA – very commendable indeed! James Runcie and Anne Zouroudi are both well known authors in their own right and Claire questioned them on a range of topics from ‘what makes a good crime novel’ to ‘how do they go about writing their plots’. I found the views and opinions of all three authors really fascinating; sometimes they agreed and other times they were very diverse. But then of course they all write different crimes in their own unique voice so it shouldn’t be surprising that they would approach their work in their own unique way. It was simply great to have them together in one room and listen to their discussions around such subject matter openly and honestly. And that is what I loved about this event, and also others that I’ve been to; authors are very generous about sharing their experiences, good and bad, and in offering up tips and advice on how to write well. That’s what makes these events ‘a must’ for any writers aspiring to be published. Of course, there are also copious books available on the subject – and there were a few really good ones on display last night (I am already reading Harry Bingham’s ‘How to Write’) – but for me it’s the little nuggets that can be mined among the spontaneous conversation that occurred between experienced and passionate writers as Claire, James and Anne – and the audience – that makes these events priceless. I’ll certainly be going along to future events. 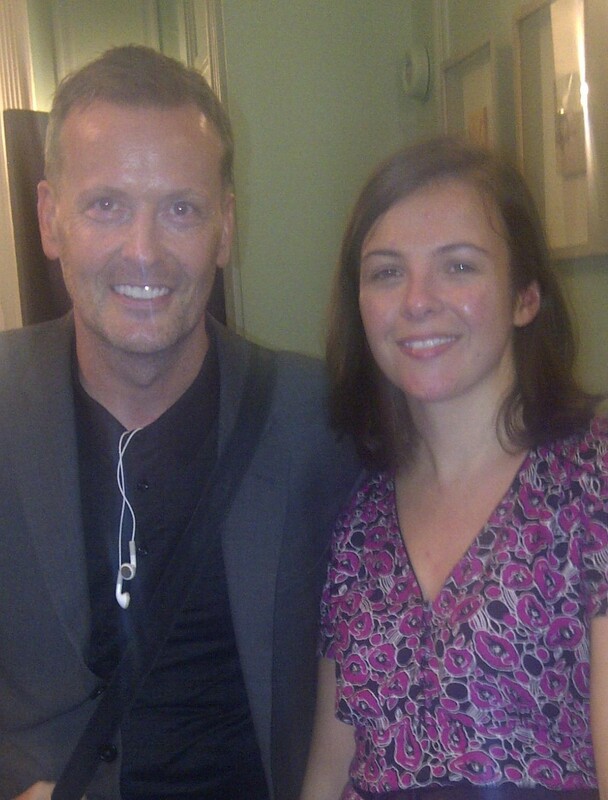 The other valuable by-product of these events is the opportunity to network with other writers and so I was delighted to meet Phil Rogers, a writer with whom I was already connected through Twitter (@Phil_S_Rogers). It turns out Phil and I are both also going to the York Writing Festival in September, and I’m looking forward to it even more now, knowing I’ll have a partner-in-crime (writing) there. Hmmm, sorry about the duff joke at the end – you can see why I don’t write comedy! Copy down the next 7 lines – sentences or paragraphs – and post them as they’re written. No cheating! Tag 7 authors and invite them to take part. So, not being able to resist a call to action, here are my seven lines from Chapter 7, line 77 of ‘When Death is a Gift’. ‘Holly caught my gaze and flashed me the most alluring smile, her dark brown eyes looking out at me from under those long eyelashes of hers. Our eyes remained fixed on each other and in the few interminable seconds that passed in the silence between us, I suddenly felt exposed. Then she slowly snaked forward and slipped her arms around me. As Holly leaned into me my pulse mis-fired and my resilience began to diminish, like sand as it trickles through an hourglass. I felt the full length of her body pressed hard against mine, trembling with the uncertainty of it all. My breathing became shallower and my mouth felt parched as our faces drew nearer, almost touching.